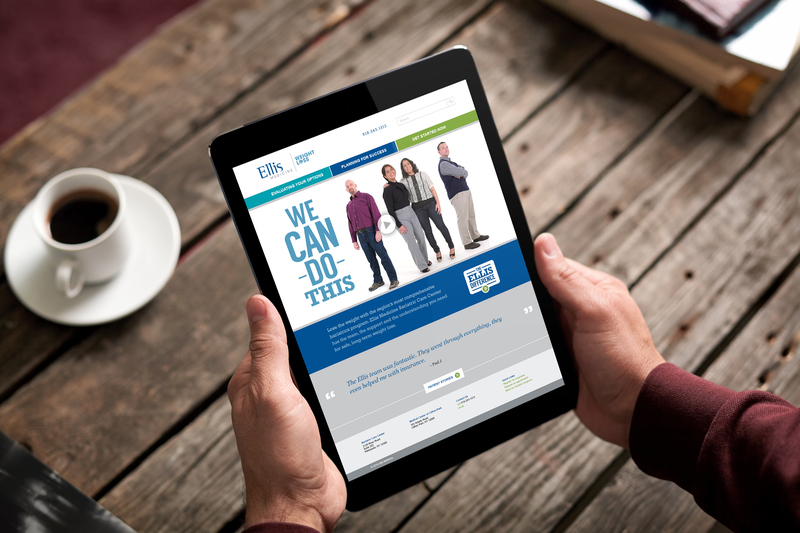 Marketing was working almost too well for Ellis Medicine’s Bariatrics department. Patient volumes grew, awareness was high and patients were ecstatic with Ellis’ ability to deliver great outcomes and a superior patient experience. But the competition must have noticed. Local health systems started to up their bariatrics game, advertising aggressively to promote it. Competitors from outside the market reared their heads, too. New ads for cheap bariatric surgery in exotic locations starting popping up in Ellis’ backyard. Ellis Medicine boasts the most comprehensive bariatrics team in the market. They have three times as many bariatric surgeons as anyone else. And with a full complement of support staff, they closely partner with patients from first consultation through post-surgery counseling. This collaborative, compassionate approach is wildly different than market norms. And given the increasingly hot competitive environment, we knew it was time for us to claim our rightful place as the market leader. Our concept, We Can Do This, emphasized both the comprehensiveness and compassionate nature of our program. It worked triple duty, boosting Ellis’ reputation as the place to go for bariatric surgery, encouraging prospects to connect with us, and inviting patients to become part of Ellis’ tight-knit family. Our approach to production helped viewers see, hear and feel just how gratifying the weight loss surgery experience is at Ellis Medicine. The campaign touched a nerve, generating a 332% jump in new patients, the highest in Ellis’ history. In addition, more than 5,000 prospects engaged with the microsite in the first few months. Even after the media run ended, the microsite continues to gather new patients for the practice and position Ellis as the best choice.